BricsCAD® V17 for AutoCAD® users tells you everything you need to know about making the switch from AutoCAD to BricsCAD’s newest release. An AutoCAD user considering switching to BricsCAD? A CAD manager adding licenses of BricsCAD to complement your AutoCAD shop? A design firm working with clients using one CAD package or the other? Perhaps simple wondering about the differences between AutoCAD and BricsCAD? 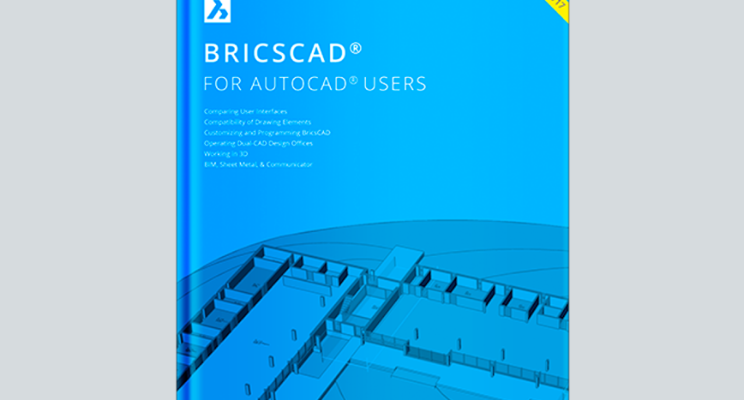 Then you should read the updated version of Ralph Grabowski’s free book about making the switch from AutoCAD® to BricsCAD®’s newest release V17. It’s updated with all the new functions of BricsCAD V17: 2D drafting, 3D modelling, Sheet Metal Design, and Building Information Modeling.